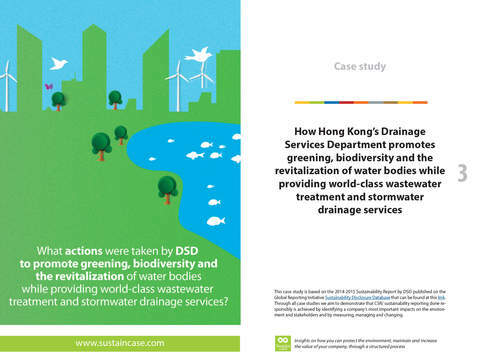 Established in 1989, Hong Kong’s Drainage Services Department (DSD) has been committed to providing Hong Kong with top-notch wastewater treatment and stormwater drainage services. At the same time, DSD puts strong focus on environmental management in every project it delivers, in order to make Hong Kong a livable city. 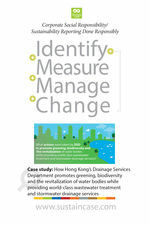 Hong Kong’s Drainage Services Department (DSD) is aimed at providing first-class wastewater and stormwater drainage services, enabling the sustainable development of Hong Kong – improving drainage services in an environmentally responsible manner. 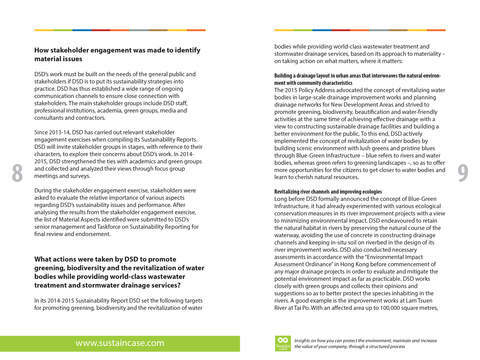 After measuring and setting targets, DSD took action to build a drainage layout in urban areas that interweaves the natural environment with community characteristics, revitalize river channels and improve ecologies, revitalize nullahs in urban areas while creating public spaces – DSD is currently undertaking the Kai Tak Nullah improvement works to transform the waterway into a green and pleasant “Kai Tak River”– and foster roof greening.